There’s a small patch in the allotment – around 2 metre squared – which I’ve somewhat neglected to date. In the spring it’s a sea of blue when the bluebells flower, and in the summer a large comfrey plant rises, attracting hundreds of bees. Other than that, and a few well established ferns, it’s a bit of dead zone. My initial instinct was to keep the bluebells in situ, but after doing some research into the Spanish invaders, I’ve changed my stance. Apparently, the Spanish invaders crossbreed easily with our native blue bells to create a fertile hybrid – that’s a problem for our native plants because over time it will dilute their unique characteristics. One day we may have no native bluebells left! 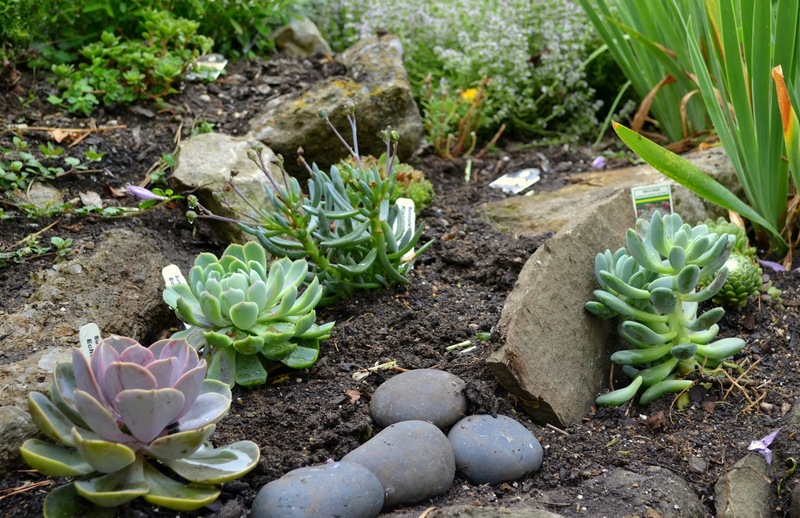 What should I plant in my rock garden? 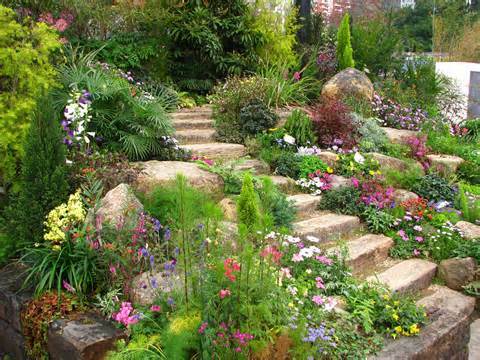 When should I build a rock garden? Autumn and winter are the best months to construct features because summer flowering has ended and there are fewer jobs to do. 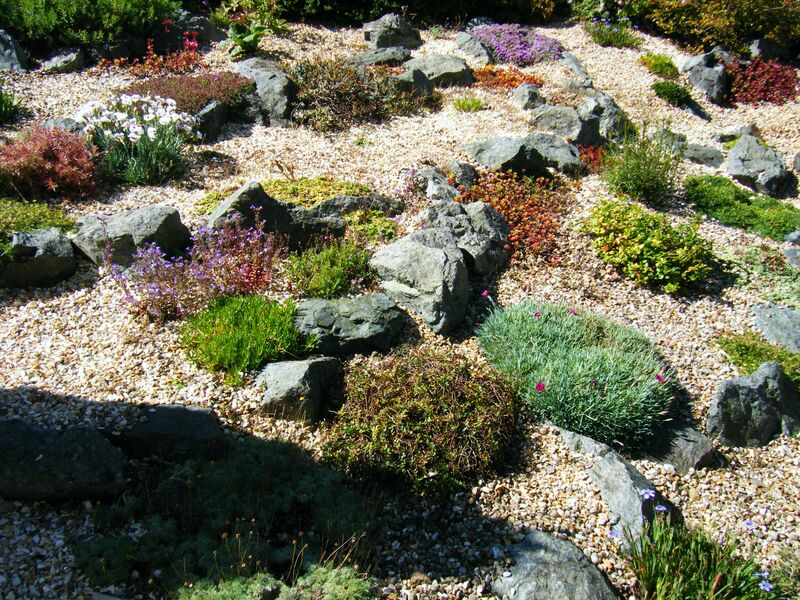 However, in terms of planting you rockery, save this for spring when there are more plants available. Plants can then establish themselves for a growing season before the challenge and enemy of rock plants – winter wet – arrives. Aim to use an open position away from overhanging trees or tree roots, where plants will receive sun for the greater part of the day. Choose a position with good drainage and avoid frost pockets if possible. Choose local stone which will be in keeping with your surroundings and try to get it in a range of sizes so as to construct a natural looking outcrop. Ensure that the area is weed-free, by hand weeding or using herbicide. Select large stones to act as ‘keystones’. Position the larger of these first and place the remaining ones so that the strata look natural. Use a spade to dig out hollows to set the stone into. Aim for a naturalistic look when setting the rock in place. The rocks should tilt backwards, with the strata running the same way. Bury the stones up to a third of their depth, firming them in place. Water the plants and place them in position while still in their pots. Allow for the plants’ height and spread when fully grown. Remove the plant from the pot, tease out the roots slightly and remove any weeds from the surface of the compost. Make sure the plants are planted firmly in the compost mix and are top-dressed with gravel or grit. excellent blog – good for you getting rid of the Spanish invaders. I can’t wait to see how this progresses.